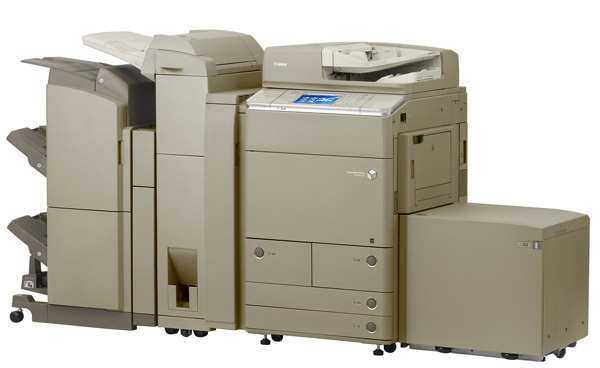 With outstanding speed and efficiency, the imageRUNNER ADVANCE C7055 model meets the needs of large workgroups that demand robust performance. Rapidly scan, print, copy, fax, and distribute documents with precision in both color and black and white, while multiple in-line finishing options ensure a professional look for every job. Today, business requires us to do higher-quality work in less time. The imageRUNNER ADVANCE C7055 model features a range of collaboration tools, streamlined one-step operations for complicated tasks, and the power to perform multiple jobs concurrently. The imageRUNNER ADVANCE C7055 model delivers output speeds of up to 55 ppm in black-and-white and 60 ppm in color, and single pass duplex scanning at speeds of up to 200 ipm (duplex, 300dpi, black-and-white). Offering standard Universal Send, UFR II Printing, and a range of paper handling and finishing options, with the imageRUNNER ADVANCE C7055 model, there's a dramatically better way to work. Large control panel with ability to add larger upright "Tilt and Swivel" control panel that provides easier viewing and allows users to adjust the UI to a comfortable position. 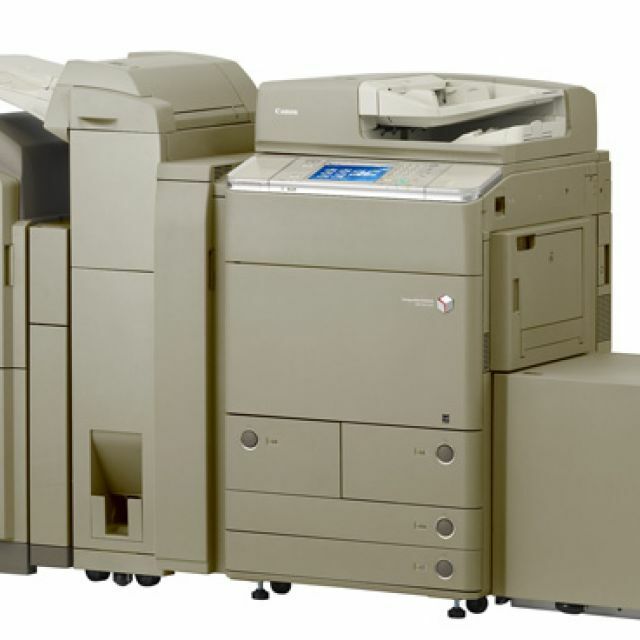 Canon's UFR II print technology is standard with this model, optional Adobe PostScript 3 and PCL 5c/6 are also supported.